Softshell is a miracle textile: Being water repellent, windproof, breathable and elastic, it is no wonder that this functional fabric and its many strong properties are very popular for jackets. The engelbert strauss online shop offers softshell jackets and vests for men, women and children in many different variations and for a variety of uses. Which one of them is suitable for your needs? You can easily find out the answer with some information. Softshell is a functional fabric made of laminated membrane layers. The membrane layers give softshell jackets the perfect properties for various outdoor and indoor uses: The outer layer is wind and water repellent, the inside keeps the wearer warm, is breathable and simultaneously transports moisture to the outside. The outer layer is extremely robust and resistant, but also very elastic. This makes the jacket ideal for tangible action in the workplace! Insulation and breathability: softshell and fleece jackets have a lot in common. But there are also differences: For example, jackets made of softshell are much more windproof and therefore also warmer. Fluffy, insulating fleece is also ideal for lining the inside of softshell jackets or bodywarmers. 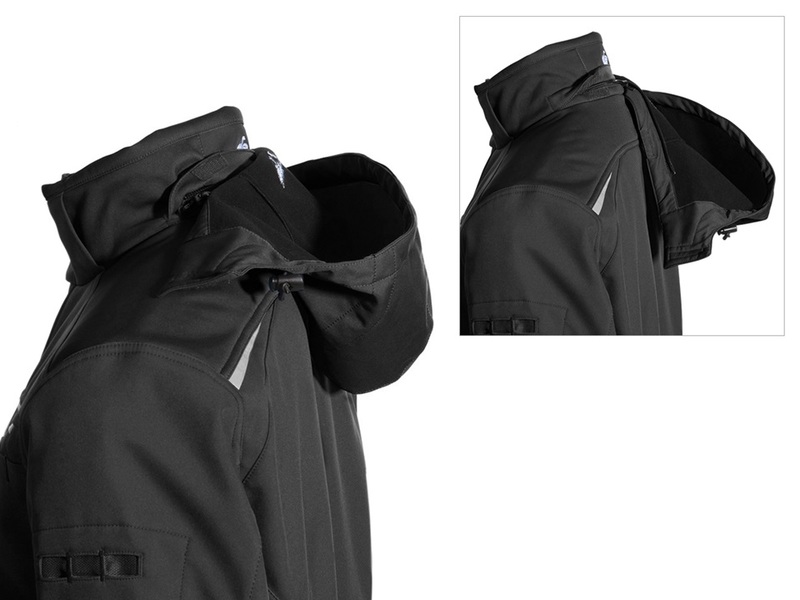 For example, the shellloft e.s.dynashield jacket has a high-piled fleece inside. What can I use a softshell jacket for? Softshell jackets are very versatile as a result of their various functions: people wear them at work, during leisure time or for sports. But not every softshell jacket is the same! 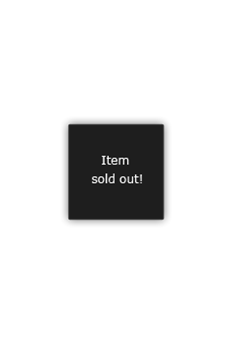 A glance into the engelbert strauss online shop shows: Some models are an ideal thermal layer. Good insulation at mild temperatures, optimal climatic comfort, very light and elastic: perfect as a transitional jacket or for indoor jobs! Some models even provide a certain amount of weather protection, making them an ideal companion for very low temperatures and uncomfortable weather. Perfect for outdoor use on cold days! Ask yourself which functions are most important for your job. What should I consider when buying a softshell jacket? Of course, during daily use at work, workwear should above all else: Support and protect you as well as possible! For this reason: The key criterion when choosing the right softshell jacket are your personal needs. Do you need a lot of freedom of movement? Which equipment is essential for you? Do you mainly work indoors or outdoors? In general, all softshell jackets by engelbert strauss are characterised by good insulation. But there are gradations: If you are looking for a jacket to keep you comfortable in mild temperatures, then a softer one like the e.s. motion 2020 is right for you. The warming fleece lining is the right equipment, especially in spring, autumn and transitional seasons, but also for indoor jobs (such as gastronomy, medical areas and logistics). For very low temperatures or even extreme cold we recommend an engelbert strauss softshell jacket with ISOFILL® lining, which keeps you extremely warm while also remaining breathable. 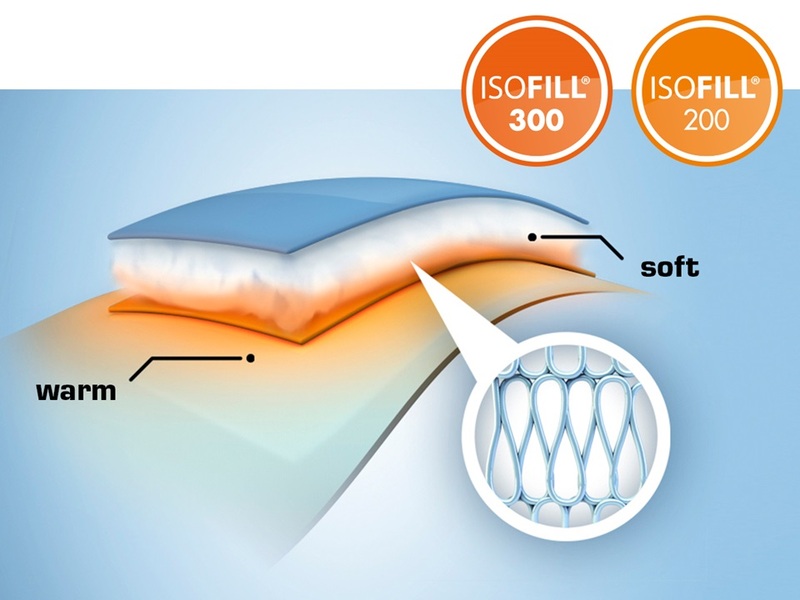 Depending on the degree of cold, it is best to choose ISOFILL® at level 200, or even a warmer level 300. How wet does your workplace get? Softshell jackets by engelbert strauss are water repellent. This means that they provide some protection from moisture, causing moisture and precipitate to roll off the textile surface and not penetrate. If you are, however, exposed to permanent heavy rainfall, you should resort to a waterproof jacket instead. A textile’s waterproofness is confirmed by independent tests and is subsequently certified. The corresponding standard is called DIN EN 343. In the engelbert strauss online shop you can find waterproof raincoats which are certified with this standard. Wind does not even have be particularly strong to cool the body after some time and thus withdraw important energy. Windproof softshell jackets for men or women by engelbert strauss are always a good choice if you're moving a lot, sitting outside in windy weather or working in draughty rooms, because these are real wind protectors. 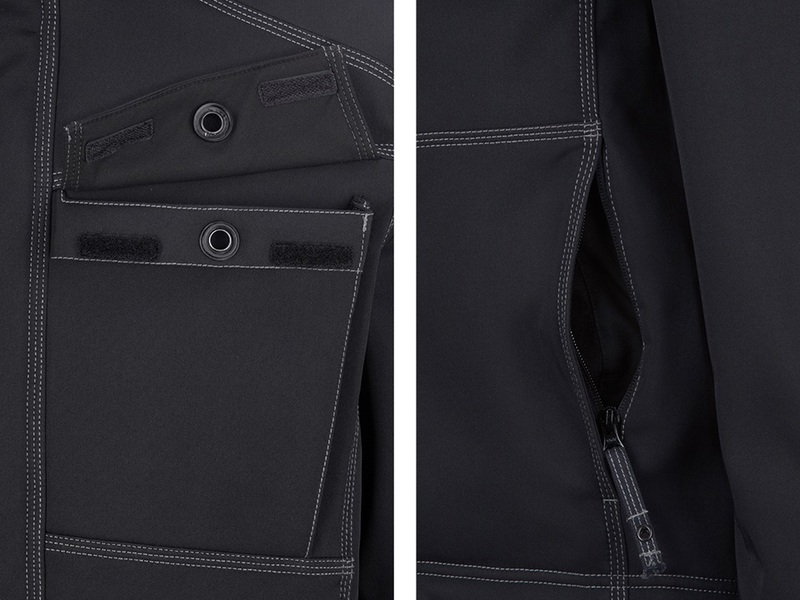 The integrated dryplexx-soft shell textile stops the wind from penetrating the jacket. For example, it seals the winter windproof softshell jacket e.s.roughtough very well: It is also equipped with elastic cuffs to reliably stop wind from penetrating the sleeve hem. With its highly durable material and sturdy triple seams, this model is perfect for heavy-duty outdoor work with hand tools. Constant arm movements, twists of the upper body, frequent bending over: Surely you recognise these movements from your job and therefore know how exhausting these are with a stiff, inflexible jacket. Softshell jackets are very elastic and adapt to your movements optimally. Many engelbert strauss models are also equipped with practical accessories which provide better comfort of movement. 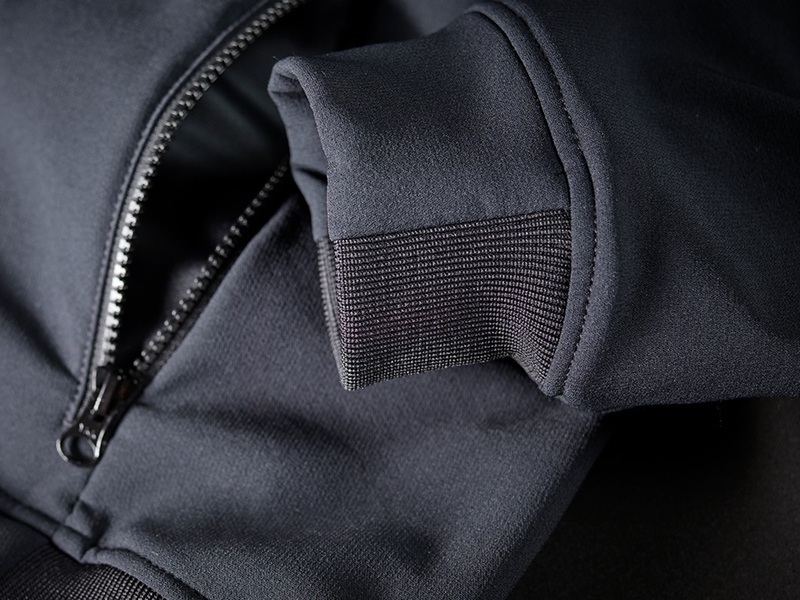 Elastic knitted insets on the sleeves of the jacket shellloft e.s.dynashield support the wrists when driving screws. Workwear by engelbert strauss should be your reliable partner in your daily job! Based on this principle, the jackets in the engelbert strauss online shop are therefore equipped with plenty of practical pockets and clever features to help you with daily challenges. Many softshell jackets have subtle reflectors, a small visual highlight, which makes them very easy to see even in low light. The winter softshell jacket e.s.roughtough is a real pocket wonder: three inside pockets and two side pockets, two breast pockets and an inner mesh pocket. There's plenty of storage space for hand tools, cell phones and everything else you need within reach. With or without a hood? This is not just a question of fashion! For outdoor use we recommend you choose a hooded model like the softshell jacket e.s. motion. The volume of the hood can be adjusted as needed, and when it is not needed you can even remove it on most models using a zipper. If you do not want to wear a hood at all, you can still find your favourite model in the engelbert strauss clothing section. 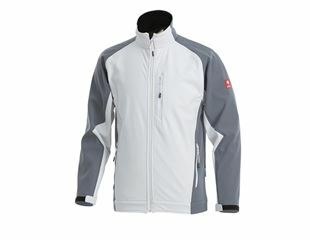 What types of softshell jackets are there? All softshell jackets share their insulating properties. Winter softshell jackets by engelbert strauss keep you warm! While "ordinary" softshell jackets are more suitable for warm temperatures, winter models can even defy the toughest sub-zero temperatures. This is mainly thanks to the lining: engelbert strauss relies on ISOFILL® for this. The ultrafine microfibres store air and protect the body from the ingress of cold but are nevertheless extremely breathable! ISOFILL® is available in the three levels of isolation, namely 100, 200 and 300. The special dryplexx® softshell membrane also ensures that winter soft shell jackets by engelbert strauss are weatherproof and thus makes them an optimal weather protection layer. Ideal outdoor clothing for hard work in extreme conditions! In some professions it is vital to be very visible e.g. when you work near the flow of traffic. Certified warning protection according to DIN EN ISO 20471: 2013 Class 3 is mandatory in such jobs. 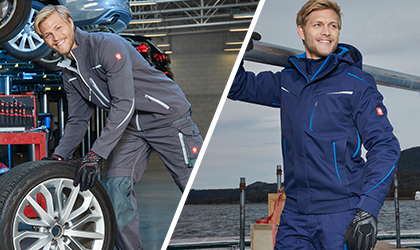 Softshell high-visibility jackets by engelbert strauss combine the functional advantages of soft shell jackets with the safety requirements of high visibility: For example, the high-visibility softshell jacket e.s.motion is water repellent, windproof and breathable. Its light-reflecting 3M Scotchlite material enhances the visibility of the wearer. Childhood adventures do not depend on the weather: there is always lots to experience! Children’s softshell jackets by engelbert strauss are the perfect outfit for every season: Available in all common sizes, made with a special children's clothing cut and available in many cool colours! The softshell jacket e.s.vision is the perfect companion when the sun is shining and children are racing their friends or exploring exciting forests. Soft, elastic, movement friendly and extremely breathable! Kites rise into the air when the autumn arrives. Then you need something windproof, which protects the body from cooling down. That’s a breeze for the windproof children’s softshell jacket e.s.motion with weather protection. It is also equipped with light-reflecting reflective piping for children’s safety. And in winter? Of course, snow-covered slopes are mastered with sleds! The children's version of the winter softshell jacket e.s.motion 2020 protects from freezing temperatures and extremely cold wind: The ISOFILL® 200 lining keeps children warm in the snow. The high-visibility version of the winter e.s.motion 2020 is recommended for maximum safety: It is certified according to the EN 1150 safety standard and can’t be overlooked with its eye-catching HIVI colours and 3M Scotchlite reflectors! Fitted waist, sporty look, perfect features: There are plenty of cool soft shell jackets for women by engelbert strauss online which will give you one hundred per cent during their daily work. These are of course available in engelbert strauss’ typical size and colour range, allowing everyone to find their style. Are you involved in gardening or landscaping? Then the women’s windproof softshell jacket e.s.vision in black/green has the right look. Equipped with EAZYFIT® inserts on the shoulders and back, it supports typical movement sequences. The dryplexx® softlight textile makes it water repellent, wind repellent and breathable. The women’s softshell jacket e.s.motion 2020 for also enjoys great popularity: In cool colour combinations such as graphite/gentian blue, stone/lavender and dark blue/atoll, it not only withstands adverse conditions, but also looks extremely good! How do I clean my softshell jacket? It is important to care for your softshell jacket properly. After all, it is a functional jacket and if you do not clean it often you can damage the membrane. The following generally applies: Note the care label on your softshell jacket. Here you will find the most important information about cleaning in the washing machine. Make sure that the soft shell jacket's zip and Velcro fastening are closed before washing, and do not use fabric softener, as this will damage the membrane. After the jacket has dried completely, it is advisable to re-impregnate it. Have you found a softshell jacket? Complete your outfit! A softshell jacket alone does not make a whole outfit! Your favourite jacket also needs the right pair of work shoes the right work trousers and maybe a fitting shirt or hoodie. But you do not have to spend a long time looking for your perfect workwear outfit - here The Mix & Match function on the respective product page will help you: This function automatically shows you which items are the best match for your favourite soft shell jacket. That completes your outfit quickly! You can get a strong team image on your next assignment by completing the clothing with your company logo, using the engelbert strauss logo service!